PEC aims to remain an active influencer across the AV, consumer electronics, theme parks industries and more. Having revolutionized outdoor TV options for consumers and weatherproof digital signage availability for the commercial market by cutting product costs in a variety of ways, PEC has made a mark in the electronics industry as a whole and continues to seek opportunities to contribute to the industry through new memberships and partnerships. The PEC family is proud to be partnered with leading influencers in the industry such as Philips Signage Solutions. Click here for a detailed list of our dealers and their contact information. 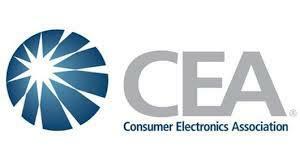 CEA is the industry leader on market research and forecasts, consumer surveys, legislative and regulatory news, engineering standards, training resources and more. PEC is proud to be a CEA member. CEDIA is an impactful global authority in the home technology industry, serving more than 22,000 industry professionals. The organization provides access to industry-leading education, certification, research, and consumer awareness. PEC is proud to be a CEDIA member. 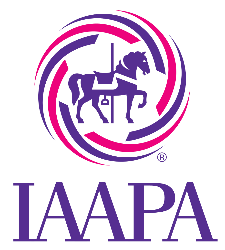 International Association of Amusement Parks and Attractions (IAAPA) was founded in 1918 as a resource for amusement park industry companies and professionals. IAAPA hosts the largest international tradeshow for the attractions industry and boasts a roster of attendees from water parks, amusement parks, theme parks, family entertainment centers, casinos, zoos, aquariums, resorts, party rentals, themed entertainment venues and more. PEC is proud to be an IAAPA member. InfoComm International is the trade association representing the professional audiovisual and information communications industries worldwide. The association provides education, events and additional resources for professionals and organizations in the AV industry. PEC is proud to be an InfoComm member. EPI, Philips Signage Solutions business development center in North America, is a subsidiary of TPV Technology Limited, the exclusive licensee for Philips Commercial Signage and Philips Monitors worldwide. PEC is proud to be partnered with Philips Digital Signage. PEC is proud to be a WWA member. Copyright © 2009-2019 Protective Enclosures Company, LLC | Made in the USA! The TV Shield®, The Display Shield®, The TV Shield PRO® and The TV Shield PRO Lite® and their logos are trademarks of Protective Enclosures Company. All other trademarks are the property of their respective owners. PEC does not claim affiliation or endorsement. Same/next business day shipping (excluding weekends, holidays and/or acts of God), excludes anti-glare enclosures, only Continental USA, same day before 1:00pm EST.